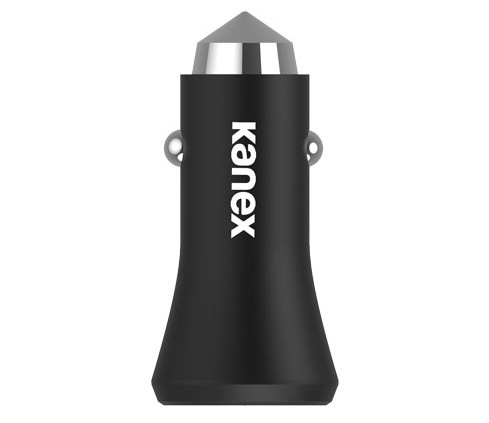 Our most premium and powerful car charger yet. Quickly and easily charge two devices at peak speeds from the comfort of your vehicle with our Premium Dual Port Car Charger. Compact yet sports two powerful 2.4A ports so you can simultaneously charge two devices at the fastest possible speeds. One USB port is never enough. Now you and your passenger can charge your smartphones and tablets simultaneously. Arrive at your destination with more power. Add some elegance and sophistication to your commute. 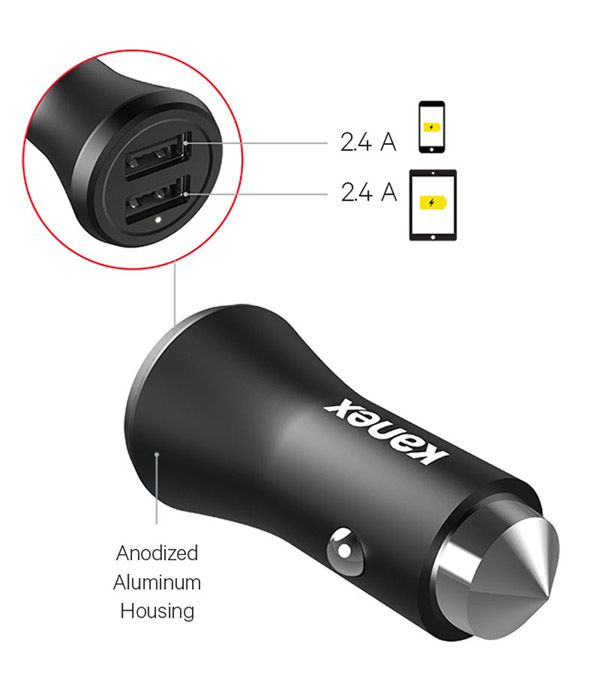 Constructed of premium anodized aluminum for a sophisticated look and durable feel, the Premium Dual Port Car Charger also provides your devices with a safe, reliable charge. Compatible with all USB powered mobile devices for Apple and Android. Product Weight: 1.1 oz. / 0.07 lbs. Packaging Weight: 2.0 oz. / 0.13 lbs.